A recent study in April 2018 called the Autism Prevalence Study was conducted by the Centers for Disease Control and Prevention. It was determined that 1 in 59 children are affected by autism spectrum disorder or ASD (indicating 1 in 37 boys and 1 in 151 girls have the condition). These recent numbers are a 15 percent increase from a previous study. Did you know that Vision for Life can work directly with your child, making a positive impact on their success and happiness if they do indeed fall within the autism spectrum? In addition to the benefits above, our vision therapy sessions examine the child’s neurological control system and treat his or her entire visual-motor system, altering reflexive behavior, which results in a lasting cure. The sessions are designed to help patients gain peripheral stability while processing visual information better. 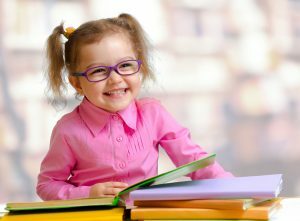 Your child’s vision therapy sessions may include non-invasive procedures, such as simple, age-appropriate exercises designed to enhance the brain’s ability to control eye alignment, eye teaming, eye focusing, eye movements and visual processing. The results? Your child will experience increased impulse control, better reading comprehension and a better quality of life. What we know about autism is that a child’s motor, cognitive, speech and perceptual abilities can become affected when his or her visual processing is impaired. If something does not seem to be in the realm of what’s considered normal processing of any of the functions listed, it’s best to have your child visit our office for a diagnosis. We will then determine the route of vision therapy to take – one that is best suited for their needs. This may include prescribed lenses that will help reduce any nearsightedness, farsightedness or astigmatism. Beginning optometric vision therapy may also be prescribed and is designed to correct eye movements and visual-motor deficiencies. There have been times when patients have visited our office with an incorrect diagnosis of autism. Instead, the patient has a vision problem that was mimicking autism-like symptoms. Once the vision problem was properly diagnosed, the patients underwent vision therapy to help “retrain their brain” and eyes to work together. If the autism diagnosis is correct, vision therapy can noticeably improve symptoms thus positively impacting your child’s social and communicative skills. A wide range of resources for recognizing early signs of autism and for accessing support and services throughout the lifespan is available at AutismSpeaks.org. If you areinterested in learning more about noninvasive, nonsurgical techniques that can help improve your loved one’s vision, give our office a call and we can help. Vision for Life has experience evaluating and treating individuals with autism, successfully using vision therapy as a treatment option. Contact us today at 618-288-1489 to discuss treatments and therapies best suited for your family.